This 3 bed 2 bath home on a corner lot is ready to be remodeled and features a formal living room, formal dining room, good sized kitchen, 3 full bedrooms, a screened patio and private backyard. No hoa! Great location minutes from the Town Center Mall, schools, shopping, dining and parks. SchoolsClick map icons below to view information for schools near 2559 NW 32Nd Street Boca Raton, FL 33434. 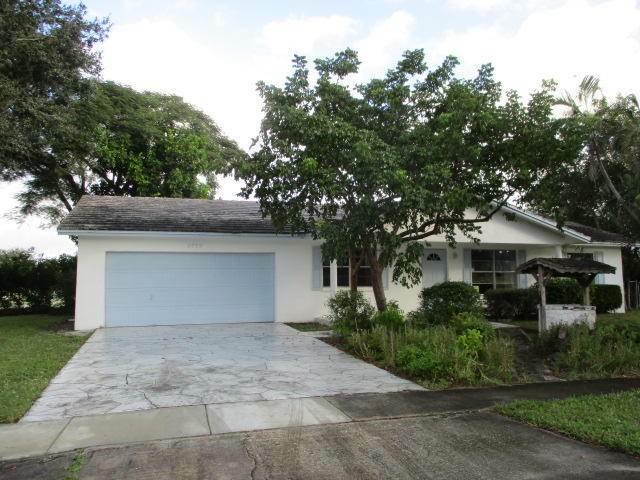 Listing provided courtesy of Moyna Properties, Inc..
MLS # RX-10481476: This property at 2559 Nw 32nd Street, Boca Raton, FL 33434 is located in the Boca Madera Unit 1 subdivision and is listed for $315,000. MLS # RX-10481476 has been on the market for 162 days.